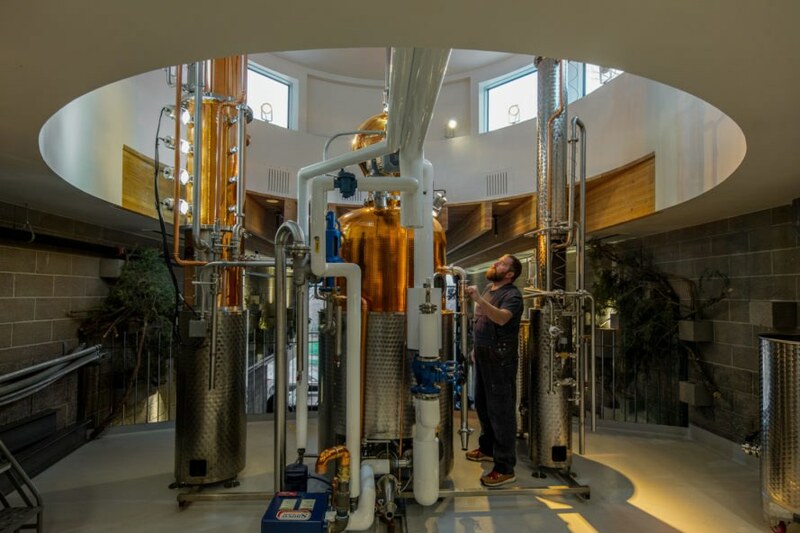 Architecture studio tres birds workshop used reclaimed and locally available materials to turn the former Mancinelli’s Market in Denver into a modern distillery and cocktail lounge that emphasizes the relationship between distiller, chef, bartender, and guest. 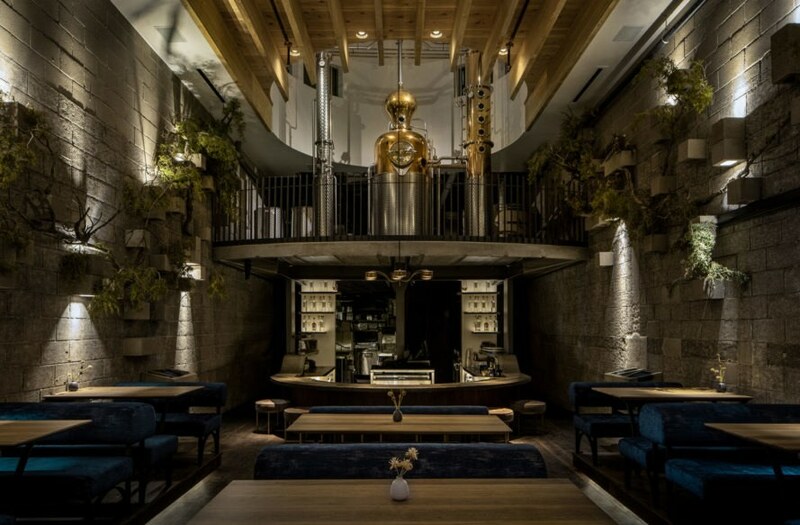 The designers paired industrial elements with rich wood details in order to create a gathering place that feels familiar and cozy. 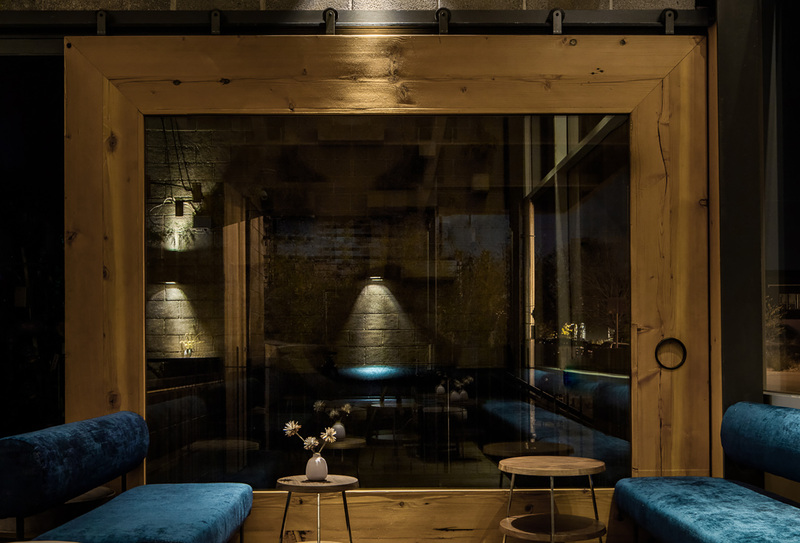 A large wooden door made from reclaimed materials sourced on-site is the entry point into The Family Jones Distillery dominated by low-slung seating, deep blue booths, and soft lighting. 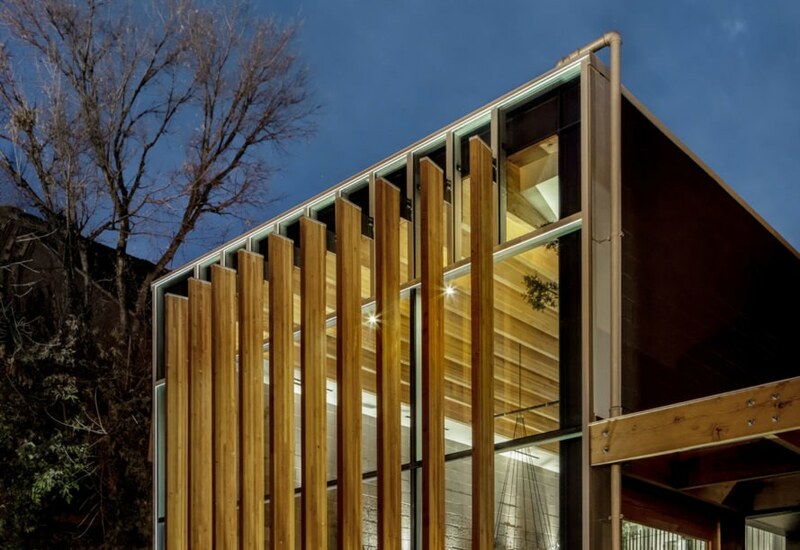 During warmer months, the door can slide open to facilitate a seamless transition between the interior and the patio. 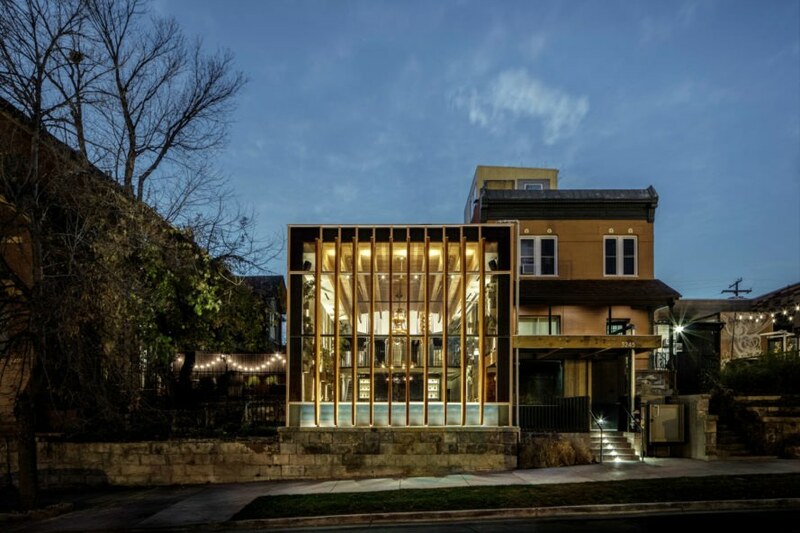 Two-story wooden louvers flank the Osage Street glass facade, offering passive temperature and lighting control while drawing attention inside to the well-lit copper still which acts as the focal point of the project. 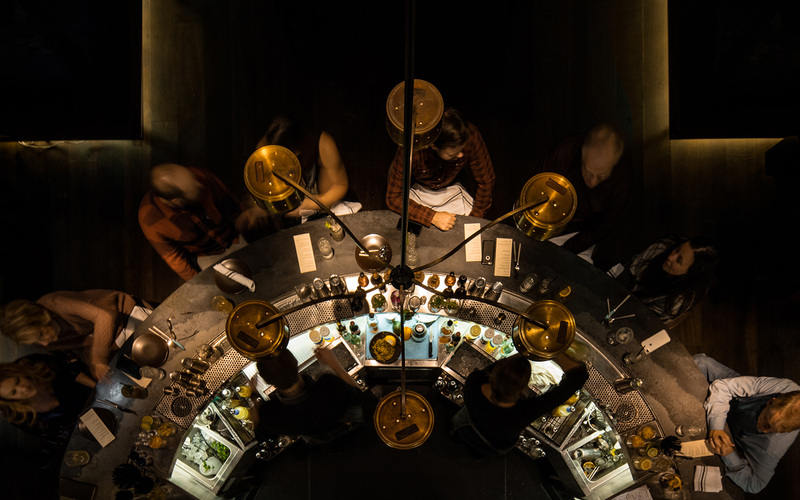 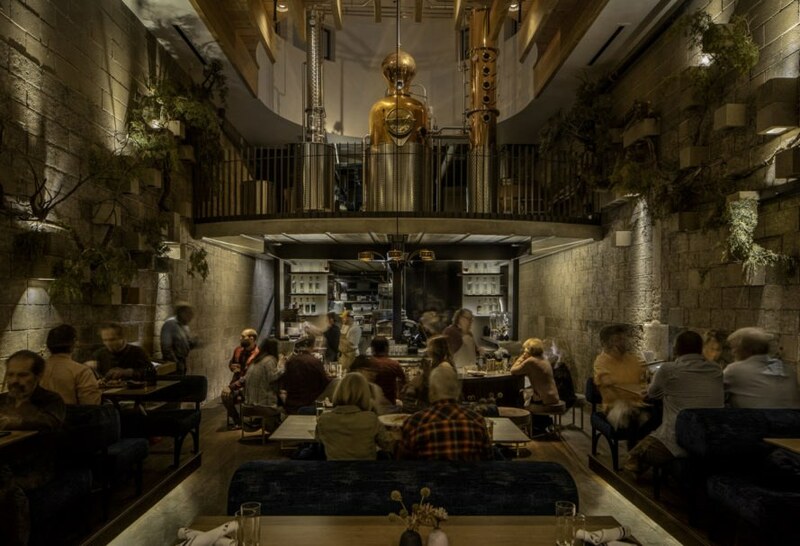 This element, perched above the central bar, sits in an oculus flanked by wooden mashers. 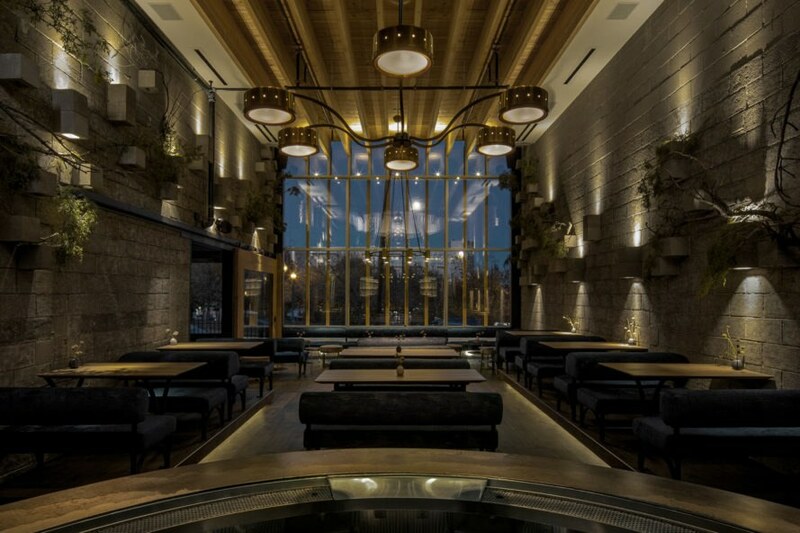 Concrete walls line the space and feature extrusions that house a combination of herbs used in spirit making, as well as light fixtures that illuminate the tables below.